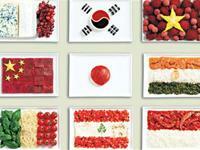 Amazing 18 national flags made from the country`s traditional foods. The world's most yummy flags! Which one would you salute?